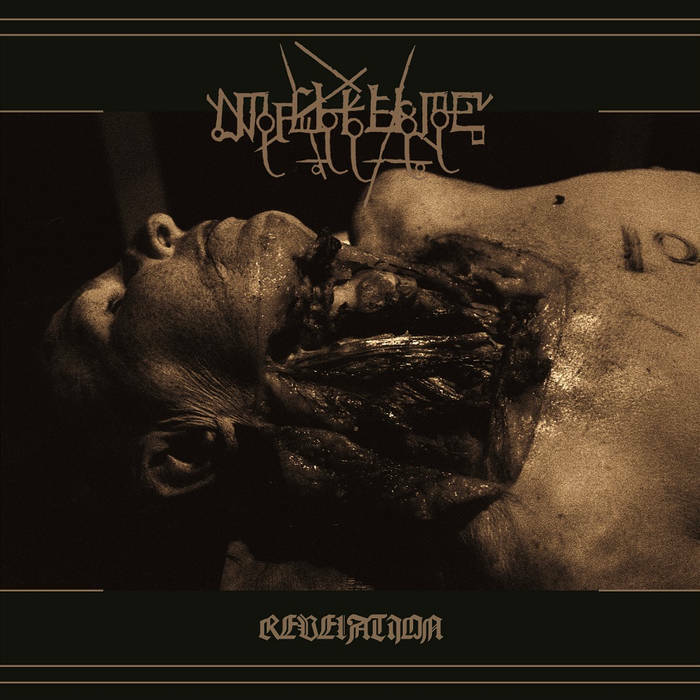 Malhkebre are a band from France that plays a very raw and orthodox form of black metal and this is a review of their 2014 album "Revelation" which was released by I, Voidhanger Records. Evil sound effects start off the album bringing in a few drones along with spoken word ritualistic parts before going into a very heavy and dark direction along with some hateful black metal direction which also leads up to faster riffing and brutal blast beats and you can hear a great amount of talent and skill in the musical instruments and there is a good mixture of slow, mid paced and fast parts throughout the recording along with a lot of raw aggressive and angry energy in the true black metal tradition. After awhile you can hear a decent amount of melody in their musical sound along with all of the musical instruments standing out on their own and they also bring back the drones of the intro along with the sounds of human depression before returning back to a heavier direction as well as making the vocals sound more grim and evil and a good portion of the tracks are very long and epic in length. You can hear a great amount of the 2000's era French black metal sound in the bands music along with the ability to mix raw and technical parts together along with a good amount of intros before the tracks which add a more chaotic atmosphere to the recording and the way the band approach vocals are very original while they also remain true to black metal while also adding in new elements to this genre and as the album progresses deep death metal growls can be heard in certain sections of the recording. Malhkebre creates some very raw, heavy, technical and hateful music with their approach to raw black metal as well as adding in a good amount of originality showing this genre can still progress with the use of traditional instruments as well as being a pure form of black metal, the production sounds very professional while the lyrics are written in a mixture of French and English and cover Satanism, Suicide, and Self Mutilation themes. In my opinion Malhkebre are a very great sounding raw, technical and orthodox black metal band and if you are a fan of this musical genre, you should check out this album. RECOMMENDED TRACKS INCLUDE "In Pulverem Reverteris" "To Become Or Die" and "IHSV". 8/5 out of 10.